Create hand-made and personalised Christmas wrapping, cards and tags with this Christmas creations calligraphy writing set. 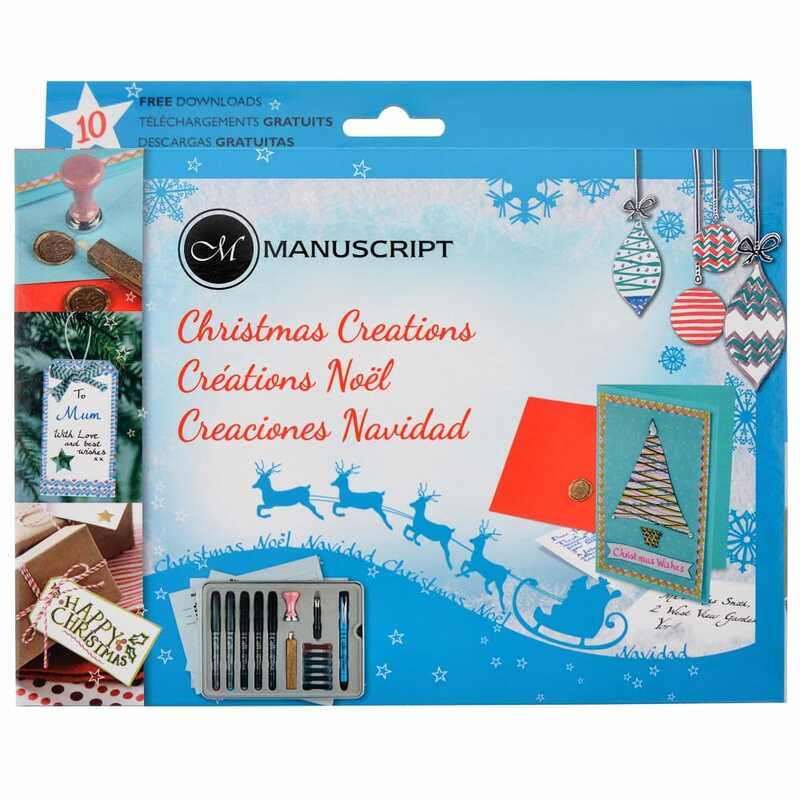 The set has every thing you need to be creative with beautiful writing and wax sealed projects for Christmas. Enjoy the smoothness of a fountain pen with two nib widths, 6 colour cartridges, 5 callicreative metallic markers and a Christmas wax sealing set. Create hand-made and personalised Christmas wrapping, festive cards and tags. You will also get useful instructions to start off with calligraphy. Swipe the stylus of the fountain pen on your tablet to see all the inspirational projects on Manuscript's website, including 10 free downloads for you. Contents: leaflet with easy to follow instructions, 5 x italic markers (silver, gold, pink, turquoise and black), fountain pen & stylus, 6 x ink cartridges (green, red, pink, turquoise, blue and black), 2B nib with protection, Christmas tree seal, gold wax, practice pad and guidelines.